We all dream of having beautiful, shiny and healthy new hair, but unfortunately hair fall out has become a constant problem. Hair fall is a very common issue that affects millions of people all over the world at one point in their life. Though it is painless, it is a very distressing experience considering that most women associate hair with beauty. 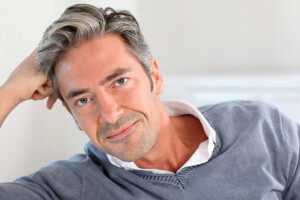 No woman wants to go bald; something most men accept due to aging or look old prematurely. There are many times you have seen your brush or comb with hair and felt worried. 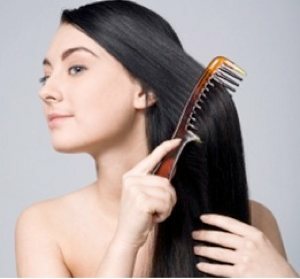 Not only when combing does hair fall out occur but also when shampooing and oiling. According to hair experts, losing about 100 strands of hair daily is normal but anything beyond this is a severe hair fall. The following information will reveal 10 Natural hair growth tips. Also there are 5 products that will help you deal with hair loss and even help you to grow hair back. The main reason behind hair fall out is due to excessive use of chemicals through hair styling treatments and hair coloring, lack of essential nutrients in the body, hormonal imbalance, alopecia, dandruff, unhealthy and improper dietary habits and many other scalp disorders. You cannot exclude fats in your diet and expect to have healthy new hair. You hair will be dull and lifeless without good source of fats. It will also have splits ends and be more prone to breaking. Eat good sources of fats from chia seeds, pumpkin seeds, coconut oil, Brazil nuts, coconut, pecans, hemp seeds and 100% cacao. Sugar breaks down collagen in thebody’s skin, hair and the nails. This causes wrinkles, weak hair and weak nails. Avoid taking too much sugar as well as taking drinks that contain too much sugar. Choose to take naturally sweet foods or sugar free alternatives such as stevia. Washing your hair daily makes it to fall out quickly. It aggravates the scalp and increases pulling, tagging as well as combing through the wet hair. Wet hair is more prone to breaking, therefore, avoid as much as you can pouring water on your hair as this only reduces it in strength. Washing your hair twice a week is more than enough. A detaining comb brushes through the hairwithout causing any damage. It is a perfect choice to prevent tearing of the hair. It does not cause tangles, split ends or even knots like other combs. Use a de-tangling comb to brush through the wet hair and then you can use a fine-toothed comb to style the hair in order to reduce the chances of hair fall out when combing. Though these combs are more expensive, they are worth every extra penny. Zinc is a mineral that help to increases the length and strength of your hair. You should take at least 15 mg. or more of Zinc supplement occasionally. Zinc supplements is absorbed more in our body than the zinc from our foods. Biotin is vitamin B that is found in egg yolks as well as other sources of protein. In case you are a vegetarian, you may consider taking a supplement. 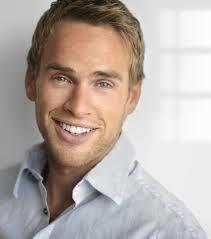 Biotin helps to increase the strength and rate at which hair grows. This may sound impossible but is one of the best tips to maintaining healthy hair. Stress and tension are the main contributors to hair loss; therefore, you should avoid stressful situations or find ways in which you can relax like working out, yoga, meditating, deep breathing, reading or anything else that will calm you down. By avoiding stress, your hair becomes healthy and it grows at a faster rate that when you are stressed up. In addition, always have enough sleep every night. Massaging your scalp at least once every day helps to stimulate circulation. Good circulation in the scalp keeps the hairfollicles active. You can improve circulation by massaging the scalp using drops of lavender or sesame oil base or bay essential oil in an almond. Flat iron, blow dry and curl have become a common practice among most women. These practices do a lot of harm to your hairthan any good. The excess heat exposure weakens the hair follicles making your hair to become damages and leading to hair fall out. It may be frustrating not to be able to style your hair the way you would want to but it is better sometimes to put the health of your hair above looking cute. This involves taking natural oils such as canola, coconut or olive, heating it until it is warm and massaging it gently on your scalp. Wear a shower cap for about one hour and then use shampoo to rinse your hair. This helps to strengthen your hair hence preventing it from falling. Beside these 10 natural hair growth tips, we understand that we cannot accomplish all of these methods. That’s why we want to introduce you these natural supplements. These can help you with hair loss and even let your hair grow back. These supplements are natural and well tested.